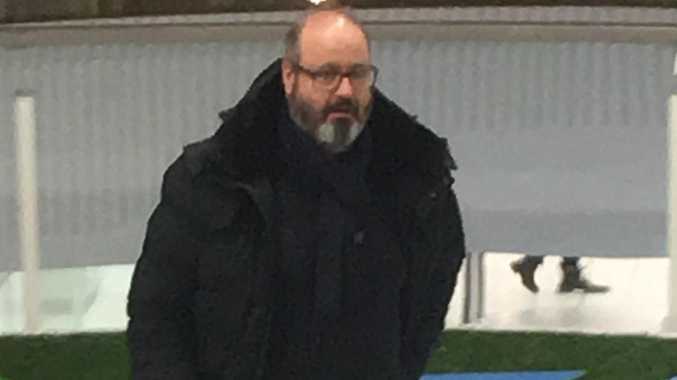 Fugitive businessman Clive Mensink left Bulgaria in the company of a lawyer four days after a secret trip from his uncle Clive Palmer, who flew a group of people on a private plane to Mensink's eastern European bolthole. 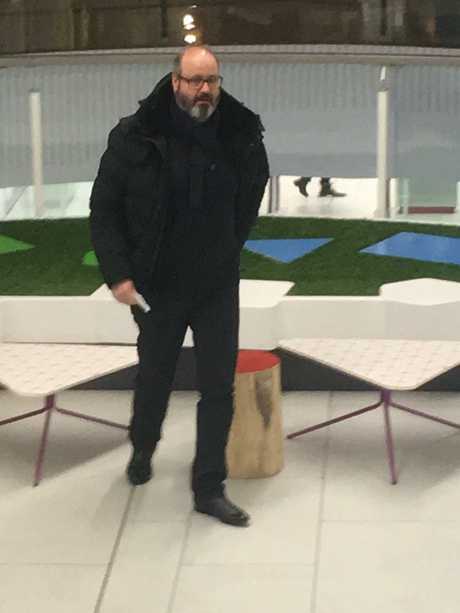 News Corp investigations have revealed Mensink, 50, was travelling with a Bulgarian lawyer called Hyristian Lakov when he crossed the border into Macedonia on October 9. A third man travelling with them, Anton Borislavov, has an address in Montana, Bulgaria, the home town of Clive Palmer's in-laws, the Sokolov family. The trio were in a Mercedes car that crossed the border at Gyueshevo, a tiny village in western Bulgaria, on October 9. 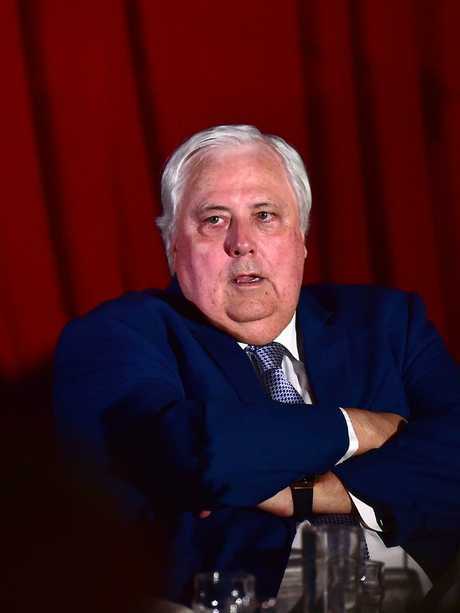 Their mystery trip over the border came four days after Palmer and a group of former or current employees flew out of Bulgaria on a private plane after a short visit to see Mensink, who fled Australia in 2016 when the business he ran, the Palmer-owned Queensland Nickel in Townsville, collapsed. News Corp has ascertained that one of Mensink's travelling companions was a lawyer named Hristiyan Stanislavov Lakov, a lawyer at a small firm in the Bulgarian capital Sofia, which has loose financial connections to a company whose CEO is under investigation in relation to illegally harvested timber. Married with two daughters, Lakov lives in a house a short distance away from the apartment Mensink shares with his Bulgarian girlfriend Gabriela Konstantinova in an up-scale area outside of the city centre. Mr Lakov is a lawyer in the firm Tselova and Lakov, which was registered with the Sofia Bar Association in May 2001. The partner in his firm is a female lawyer called Lidia Goranova Tselova-Ninova. Both Mr Lakov and Ms Tselova-Ninova, along with another woman by the name of Dessislva Borislavova Bacheva, are shareholders of a company called Utro-S.
Utro-S holds a 60 per cent stake in a company called Nalex Group OOD, a company which went from one employee in 2013 and a revenue from sales of $10,000, to six employees in 2017 and revenue from sales of $350,000. It is involved in timber processing and sales. On March 2 this year, the Bulgaria news site 24 Hours reported an Interior Ministry press conference which stated an investigation was underway into large amounts of illegally harvested timber, following police raids at two timber processing plants in the town of Velingrad. Two companies were under investigation - one of them being Nalex Group. Court proceedings were launched against the Nalex CEO Atanas Krastev. Bulgarian media have since reported that the raids came after Mr Krastev fell out of favour with local politicians. Mr Krastev owns the other 40 per cent of Nalex. There are no public records to show the progress of the proceedings against Mr Krastev. The second person with Mensink when he left Bulgaria was Anton Borislavov Bozhikin, an unmarried 31-year-old man who was born in the northern town of Montana, and still has an address there, although he appears to live in a students residence in Sofia. A gritty, impoverished town near the Serbian and Romanian borders, Montana was the home town of Clive Palmer's second wife, Anna Sokolov. Her parents Alexander and Stilyana still have an apartment there, and her brother Georgi has a business registered there, although it is dormant. The Sokolovs all now live in Australia. Mr Bozhikin was the sole owner of a company called Office M OOD for several months in 2013, but a second person took over as sole owner in December 2013 and it was later liquidated, and removed from the Bulgarian Corporate Register on December 27, 2016. 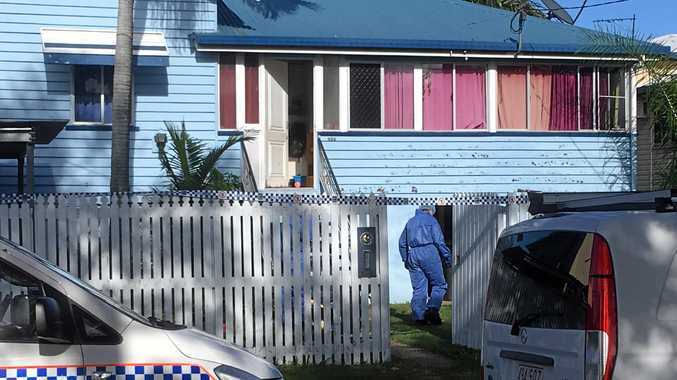 Two warrants have been issued for Mensink to appear in the Federal Court in Brisbane to answer questions over the collapse of Queensland Nickel, and he is subject to an Interpol Blue Notice, which is a reporting mechanism triggered when he crosses borders. However because he drove across a remote road border, he would not have triggered the Blue Notice when he left. 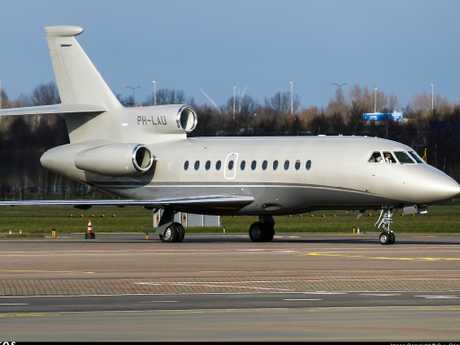 News Corp revealed last month that Mr Palmer and nine other people including family members chartered a flight out of Amsterdam in the Netherlands to visit the runaway businessman on October 1, before flying out to Naples in Italy on October 5. Two of those on board the flight are witnesses in the Federal Court hearing into where Queensland Nickel's money went before it collapsed. Loyal Palmer lieutenant Ian Ferguson, a former managing director of operations who received a $500,000 loan from Queensland Nickel which he did not have to pay back, was on the flight. Mensink's son Ryan Mensink, who also worked at Queensland Nickel and who gave evidence that he had deleted his communications with his father because he didn't want to have to produce them for the court, was also on board. Other passengers included Kristian Rees, a former A-League professional soccer player, who was playing for the Palmer-owned Gold Coast United when its licence was revoked in 2012, and went on to accept a job with Mr Palmer as a property manager for Mineralogy, and Martin Brewster, a Palmer employee, nephew, and former director of expansion and major works at Queensland Nickel.